A family drama with one extraordinary supernatural spin, Boo! stars Ash vs. Evil Dead season one's Jill Marie Jones as matriarch Elyse and Truth or Dare's Aurora Perrineau as her offspring Morgan, father James (Rob Zabrecky) and brother Caleb (Jaden Piner) are all faced with a Halloween game that's ready to curse anyone who refuses its indulgence. With a racially mixed primary cast, we're ready to see Boo! shake conventions and tropes into oblivion. Detroit native writer/director Luke Jaden "made waves with the proficiently made and brutal short King Ripple, starring a then-unknown Lakeith Stanfield. 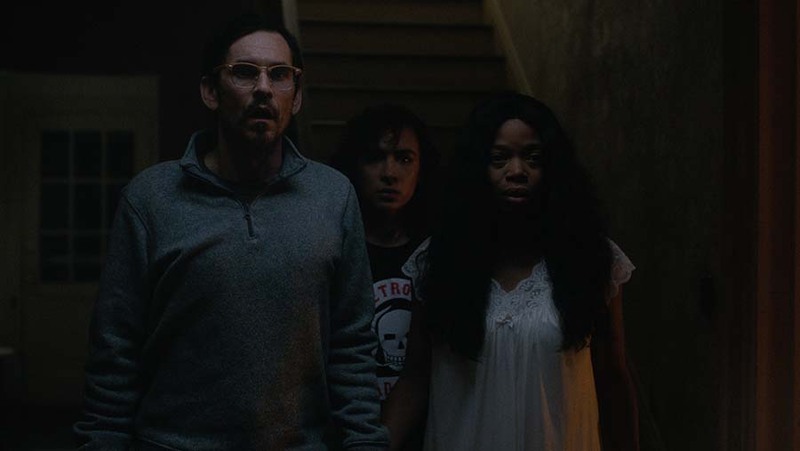 Three years later, with Boo!, the now-22-year-old filmmaker has delivered on that potential, crafting a supernatural chiller that’s big in scope yet intimate in character. Leading up to a whopper of a spook-show climax, Jaden’s debut feature is the real deal." Hearing much buzz around this demonic thriller already, Luz seems best going in knowing as little as possible. The vague synopsis of just how two different women have some sort of unfortunate effect on those they encounter is certainly worth a peak behind the veil that connects them. "Mind-blowingly enough, Tilman Singer’s Luz was made as a student thesis film and is the most audacious and flat-out impressive horror debut in years, a disorienting descent into madness that’s shot on 16mm and genuinely feels like an unearthed ‘70s movie somehow rediscovered and unleashed onto the genre scene. Think Lucio Fulci if he’d moved to Germany and totally lost his already deranged mind and you’ll just be scratching the surface of Singer’s incredibly assured breakthrough gem." Anything occult related with real-life, too wild to be a coincidence tales has always fascinated me as a part-time conspiracy theorist and pop historian. Antrum has all the intrigue of a high-stakes dare you just can't walk away from. Speculated to have had a hand in deaths, fires, and a violent riot, this story of siblings entering the woods to mourn a pet's passing only to stumble upon hell on earth is probably nothing to 'eff with. But you wanna! "Bookending the original 35mm Antrum print with an all-new documentary about the film’s legend, filmmakers Michael Laicini and David Amito have packaged a truly singular viewing experience, one part catnip for film historians and a much bigger part experientially demonic cinema." More selections from the first wave announcement can be found here! 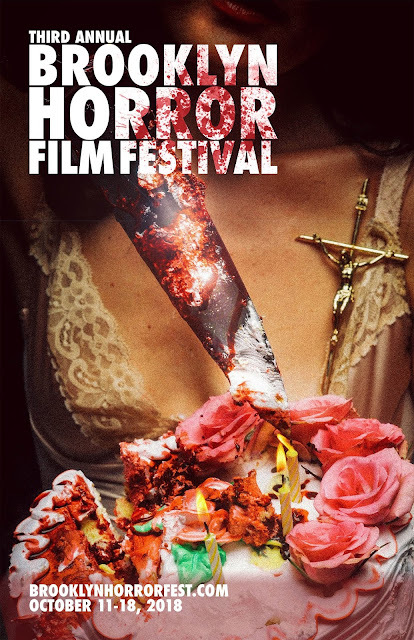 Additional programming includes 80’s Slash-A-Thon & New York Book Launch for Ad Nauseam, by horror journalist Michael Gingold, a 35th anniversary screening of cult-classic Sleepaway Camp, and The Miskatonic Institute of Horror Studies lecture, "Big Scares on the Small Screen: A Brief History of the Made for TV Horror Film".